Front panel speed, weight, tone, volume controls and message, semi-auto, tune, power buttons. User's guide (pdf). Jack for speaker/headphones. 6-1/4x1-3/4x5 in. between Iambic Type "A" and Type "B" keying, and there is a single message "memory." User's guide (pdf). Dual paddle (for use with iambic keyer). 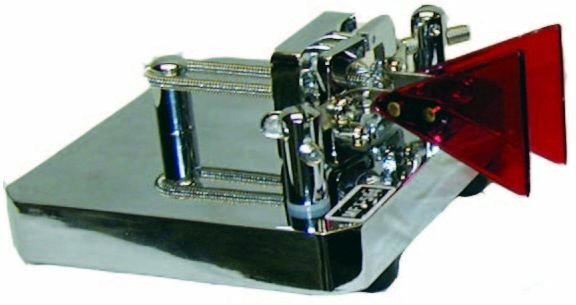 Features full- range adjustment in contact spacing and lever throw, self- adjusting nylon/steel needle bearings. Chrome plated, machined frame. Heavy base with non-skid feet..
Click here to view the paddle instructions (pdf file). 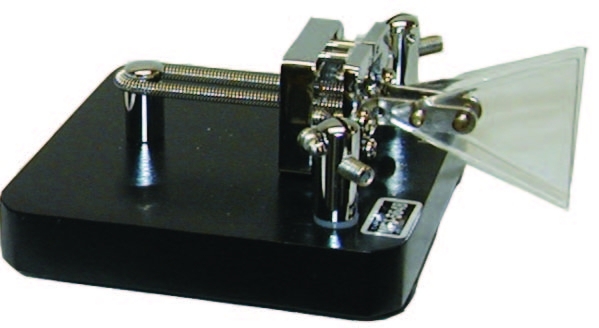 The MFJ-557 Deluxe Morse Code Practice Oscillator includes a fully adjustable telegraph key on a non-skid heavy steel base -- it stays put on table and doesn't move around while youre sending! The MFJ-557 lets you practice sending code at home, at work, riding in your car -- practically anywhere -- because its so easy to take it wherever you go. The volume control adjusts from barely audible to blaring full sound. You can practice without bothering anyone. The tone control gives you a wide adjustment from high "squeaky" to low "booming" tones. You even get an earphone jack for private listening. You can plug in an external speaker for super high volume in the classroom. 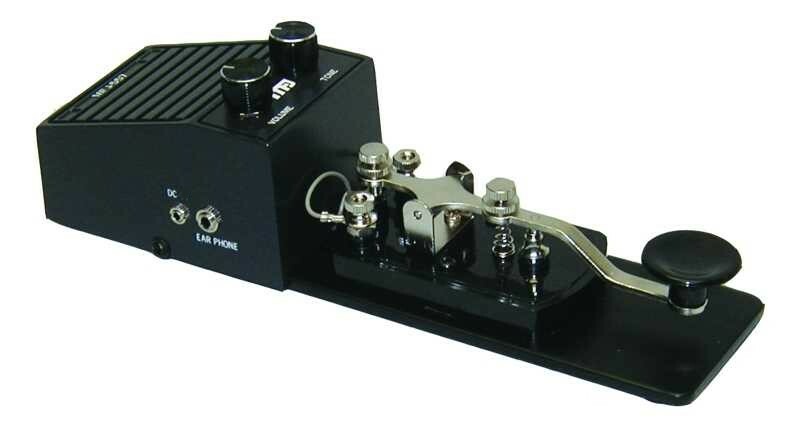 When you're finished cleaning up your sloppy fist with the MFJ-557, hook up the key to your transmitter and go on-the-air sounding like you were born working CW. 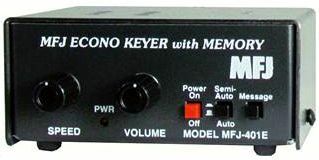 The MFJ-557 Deluxe Morse Code Practice Oscillator runs on a 9 volt battery (not included) or external 12VDC power supply. It measures 8 1/2 x 2 1/4 inches.